The river IJ divides Amsterdam in the ‘central city’ south of the water, and ‘Noord’ on the other side. 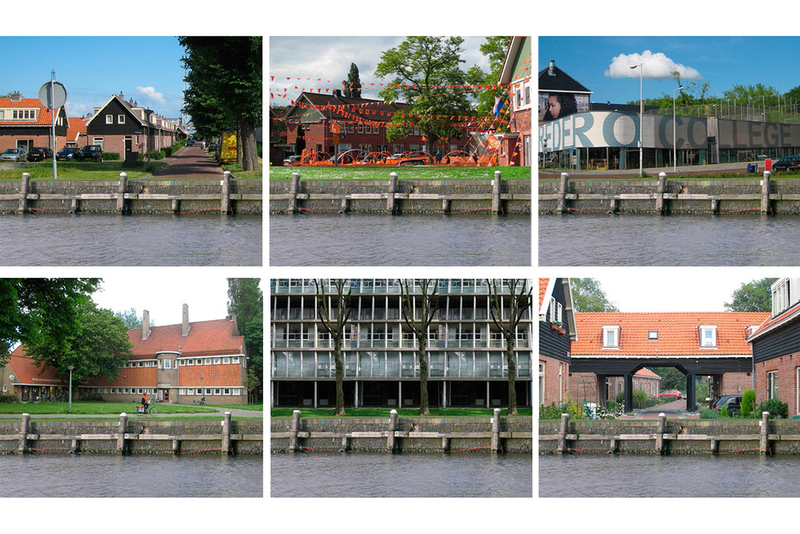 In the recent and ongoing debate about the development of the northern bank of the IJ, the idea prevails that the entire northern banks should made ‘green’ and publicly accessible by a continuous boulevard along the river. In response to these debates, we researched and developed an alternative for this complicated and costly plan. We propose to redefine the northern banks: including the many indentations of the north bank more than doubles its length compared to the south bank. The highly indented northern bank of this ‘great IJ’ almost naturally defines a wealth of spaces along the water, and opens opportunities to connect many of Amsterdam Noord’s neighbourhoods to the river. Instead of a uniform ‘green’ zone, the north bank will reflect the very diverse character of these neighbourhoods, stringing together a multitude of qualities along the river.